The 66th Meeting of the Nigeria Examinations Committee (NEC) of the West African Examinations Council (WAEC), was held from Tuesday, 2nd to Thursday, 4th October, 2018 at Excellence Hotel & Conference Centre, Ogba – Lagos. The Committee, which is the highest decision-making organ of WAEC on examination-related matters in Nigeria, meets twice a year, to consider matters relating to the conduct of the West African Senior School Certificate Examination (WASSCE) for School Candidates and Private Candidates. Its statutory Chairman is the Chief Federal Government Nominee on Council. Membership of the Committee comprises four representatives each, of the State Ministries of Education and the Department of Education of the Federal Capital Territory (FCT) Abuja, ANCOPSS and the Universities. It also includes the Registrar to Council, the Head of the Nigeria National Office, the Head of the Test Development Division (TDD) and the Head of the Test Administration Division (TAD) of the Council. During the 66,h Meeting, the Committee received reports on Irregularity, Special and Clemency Cases arising from the conduct of the WASSCE for Private Candidates, 2017 and the WASSCE for Private Candidates, 2018-First Series, earlier considered at the 65th Meeting of the Committee. The Committee also considered a report on the conduct of the WASSCE for School Candidates, 2018, as well as Irregularity Cases arising from the conduct of the examination. In the course of considering the various reported cases of malpractice, the Committee, after diligent deliberations, approved appropriate sanctions in all established cases of malpractice, as prescribed by the Rules and Regulations governing the conduct of the Council’s examinations. It approved that the entire results of candidates involved in proven cases, which attract Cancellation of Entire Results (CER) be cancelled, while subject results of those involved in proven cases, which attract Cancellation of Subject Results (CSR), be similarly cancelled. In addition, some candidates will also suffer other sanctions such as barring them from sitting for the Council’s examinations for a certain number of years, some schools will be derecognised for a specified number of years, some supervisors that were found wanting in the discharge of their examination duties will be formally reported to their employers and blacklisted while some invigilators will be reported to the appropriate authorities for disciplinary action. The decisions of the Committee will be implemented without delay and the affected candidates and schools duly informed by the Council. However, the results of candidates who were exonerated by the Committee will be released. Furthermore, the Committee considered Special Cases, Clemency Appeals from the WASSCE for School Candidates, 2018 and Restitution Cases as well as Impounded Certificates for various years. The Committee also received a report on the Statistics of Entries and Results for the WASSCE for Private Candidates, 2017 and 2018-First Series. In addition, it received and considered the General Resume of the Chief Examiners’ Reports on the WASSCE for Private Candidates, 2018-First Series and the WASSCE for School Candidates, 2018. It also received and considered reports on the Activities of the Aptitude Tests Department (ATD), for the period March to September, 2018 and on the Activities of the Research Department of the Council for the period March to September, 2018. 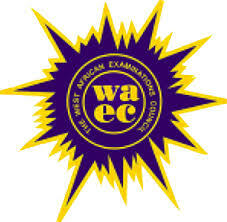 With regard to the General Resume of the Chief Examiners’ Reports on the WASSCE for School Candidates, 2018, the Committee noted the observation by the Chief Examiners that the standard of the papers compared favourably with those of previous years and that the questions were within the scope of the syllabuses as well as the ability of the candidates. They also reported that the rubrics were clearly stated and the marking schemes were comprehensive. The Committee noted the strengths and weaknesses of the candidates as reported by the Chief Examiners and the suggested remedies for the weaknesses. The Committee observed that even with the commendable efforts of the Council in the fight against examination malpractice, the menace is still on the increase and called on all stakeholders to intensify their efforts in the fight against examination malpractice. The Committee decried the high rate of impersonation as a form of examination malpractice in School Candidates examinations, called on school principals to check the ugly trend and urged the States Ministry of Education to look at the calibre and integrity of teachers nominated as Supervisors for public examinations. On the issue of punishment for schools, candidates, invigilators and supervisors caught aiding and abetting examination malpractice, the Committee advised that WAEC, ANCOPSS and the States Ministry of Education should publish the names of those involved to serve as a deterrent for others. Finally, the Committee commended the Council for ensuring that examination cheats do not get away with their nefarious activities by deploying cutting-edge technology and putting in place several mechanisms to detect and forestall examination malpractice. WAEC Computer Studies Practical Questions 2019 | Check Computer Studies Practical Random Repeated Questions Here.